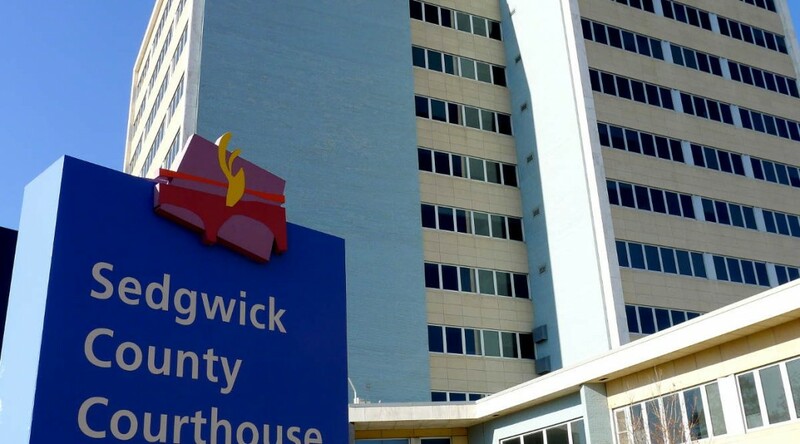 Tomorrow the Sedgwick County Commission will consider raising its limit on borrowing for reasons which need to be revealed, and then carefully examined. Update: By vote of three to two, the commission adopted the second item in the following list, implementing a higher debt limit. The third option has intuitive appeal as it pegs the borrowing limit to the county’s primary source of income to pay debt, which is property tax. In any case, taxpayers might wonder why the county is considering any proposal to raise the amount it can borrow. The County’s current annual debt service is 8.22% and will fall below 8% in 2018. No reason or project has been given as to why this change is needed. The county currently has no plans to issue debt for anything in 2017. Ranzau’s correspondence says there have been no reasons given for the need to change the debt limit, and that there is no plan to issue debt in 2017. But that’s the county’s public position. Internally, there is consideration of borrowing and bonding in 2017. Some is for projects already completed and paid for. Borrowing against the Ronald Reagan Building at 271 W. Third St. is being considered in the amount of $4.0 million. That’s $2.1 million of renovations already completed, plus $1.9 million in planned renovations already paid for. Borrowing against the Downtown Tag Office at 2525 W. Douglas is considered at $2.3 million. This project has been paid for. Additionally, the county may borrow to pay for the new Law Enforcement Training Center, in the amount of $5.5 million. This building is under construction, but the county has already transferred cash to the capital improvement fund that is designated to pay for this building. Why would these buildings — some paid for, another for which cash is already set aside — be under consideration for bond issues? An analogy is in personal finance, where a family might — after many years — pay off the mortgage on their house. Or maybe they saved and purchased the house outright without borrowing. But then, the family takes out a mortgage — a new loan — on the house to have additional money for current spending. And more current spending is likely what some Commission members have in mind, as there is no need to take out a mortgage on property owned free and clear unless one wants to spend on something else. This seems to contradict the need for a higher debt limit. 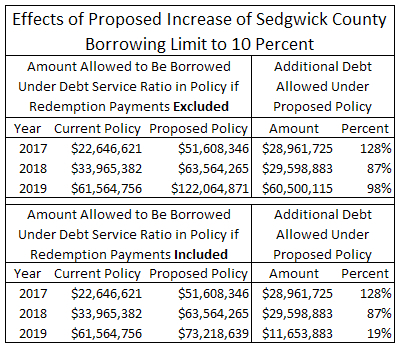 Before approving a higher borrowing limit, Sedgwick County Commissioners need to explain the need for the higher limit, and let taxpayers know if they’re about to be saddled with new mortgages on properties we thought we owned outright.